New York City baker Eileen Avezzano says she has a better way than Groupon Inc. (GRPN)’s online deals to entice customers to buy her cheesecakes again: She doles out loyalty cards that reward buyers for return visits. The cards, designed by Cartera Commerce Inc., are digital instead of physical, and are linked to credit cards consumers already use. They let merchants provide a discount, or a reward such as airline miles, every time consumers buy. A shopper may swipe a card, and a retailer will automatically deduct some money off the bill. Businesses like Avezzano’s can use the programs to collect data on when customers shop, how often they return and how much they spend — way beyond the scope of old-fashioned paper punch cards. That can make them even more valuable than coupons from Groupon and LivingSocial. About 900 million transactions will be conducted with cards connected to merchant loyalty programs in 2015, generating $1.7 billion in revenue for the providers, Aite Group LLC estimates. That’s up from $300 million in 2011. The digital loyalty program market began exploding around 2010, when startups and venture capitalists starting thinking about how to bring loyalty punch cards into the digital age, Krasilovsky said in an interview. Makers of loyalty-card software have attracted more than $155 million in venture capital, he said. Cartera raised $12.2 million this month in a round of funding led by Venture Capital Fund of New England. Along with Cartera, startups such as Plink LLC, CardSpring and Mirth Inc. are gaining attention in the world of merchant deals. These loyalty programs, which reward buyers on top of any airline miles or points their credit cards already offer, are often cheaper than coupon providers, too. LivingSocial and Groupon, the biggest provider of daily discounts, typically take a 30 percent cut of a transaction, versus 5 percent to 15 percent when a loyalty-linked card is used. The competition adds to concerns facing Groupon, whose shares have tumbled 51 percent since its initial public offering in November. Some loyalty programs let consumers get rewards of their choice such as cash back, discounts or virtual currency for games like Zynga Inc. (ZNGA)’s FarmVille. American Express Co. (AXP)’s Zynga Serve Rewards card allows fans to amass the currency when they shop and use it for the online game. Virtual currencies are seen as a way to attract people in their 20s, said Ron Shevlin, a senior analyst at Aite. Plink, a Denver, Colorado-based startup, has designed a loyalty program that lets users earnFacebook Inc. (FB)’s virtual currency by dining at more than 25,000 restaurants such as Burger King Corp. and Outback Steakhouse. CardSpring allows clients to build their own Web-based and mobile applications for cards that can deliver coupons, digital receipts and loyalty programs. Mirth, whose program is currently in trials in New York, rewards frequent customers with a 3 percent discount on purchases whenever they swipe their cards at participating restaurants. On June 19, online-payments startup Square Inc. also introduced a loyalty program, letting small businesses offer rewards to customers who swipe credit cards through its handheld readers. 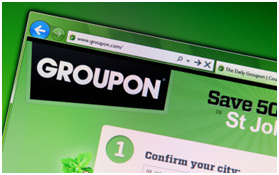 Increased competition may further damp analysts’ expectations for Groupon. The Chicago-based company in March reported a “material weakness” in its financial controls and said fourth-quarter results were worse than previously stated because of higher refunds to merchants. A survey earlier this year by Susquehanna Financial Group and daily-deal aggregator Yipit showed that about half of businesses that had offered an online deal-of-the-day weren’t planning to do so again in the following six months. Merchants were concerned about a low rate of repeat business from new customers gained through such offers, the survey found. “We continue to question whether Groupon can sustain its high growth and begin to generate sizable profits while scaling back marketing costs,” Edward Woo, an analyst at Ascendiant Capital Markets LLC, wrote in a May 15 note. As a result, Groupon’s IPO has been among the worst market debuts for a Web company since the dot-com crash. Closely held LivingSocial, whose backers include Amazon.com Inc., Lightspeed Venture Partners and AOL Inc. founder Steve Case, doesn’t disclose sales or earnings figures. 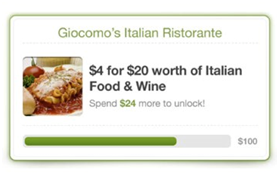 Both LivingSocial and Groupon have started their own loyalty programs. LivingSocial introducedits first co-branded credit card with JPMorgan Chase & Co. in May. Cardholders can earn points that can be converted into DealBucks and used toward LivingSocial deals. Groupon’s Rewards program, which gives consumers points for shopping at participating companies with a registered credit card, was rolled out nationwide at the end of the first quarter. Still, some business owners view rival loyalty programs as a better investment than daily deals. “With Groupon, it’s a one-time offer — it doesn’t last,” New York baker Avezzano said. Customer numbers at Eileen’s Special Cheesecake have jumped 18 percent since the shop started using Cartera’s loyalty technology a year ago, she said. Groupon may be ready to take on the likes of Intuit and Square with its next offering – a mobile payments platform that could shake up this growing industry and its leading players today. Speaking in confidence to Reuters, two unnamed sources confirm that the daily deals giant is now actively testing in the field a new mobile payments platform with a select few Groupon merchants. Groupon’s nascent payment service comes with an Apple iPod Touch, and a case that wraps around the back of the device, which allows merchants to swipe credit cards, the people said. They did not want to be identified because the service has not been officially announced, and is in an early testing phase with some Groupon merchants. If the offering successfully makes it out of testing with the company’s blessing for national launch, the service will likely be competitively priced and perhaps significantly undercut the transaction fees charged by Intuit and Square. Would you be inclined to use a Groupon-branded mobile payments service? Amazon will use a two-for-one gift card offer next week to get consumers to check out AmazonLocal, its daily deals service. 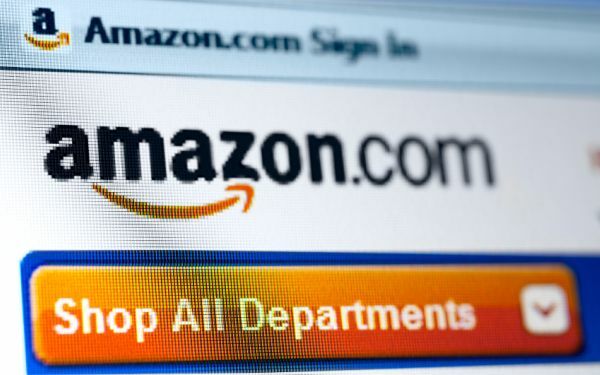 On Tuesday, March 20, Amazon will let consumers buy a $10 gift card for $5. The catch: They have to go to amazonlocal.com to redeem it. The card is good for any Amazon merchandise, though. The retailer is limiting buys to one per customer. Mike George, vice president of AmazonLocal, says the promotion is the most high-profile yet for the service, which launched last June in Boise, Idaho. AmazonLocal is now in 90 locations in 26 states and Washington, D.C.
AmazonLocal isn’t the retailer’s only competitor in daily deals. Amazon has a stake in LivingSocial, the number two player in the category, next to Groupon. Last year, Amazon lent its considerable heft to LivingSocial for a similar deal, offering a $20 Amazon gift card for $10. LivingSocial sold more than 1 million of the vouchers and greatly increased its visibility. That offer came after Groupon partnered with Gap in August 2010 for a deal that offered $50 in merchandise for $25. Are Daily Deals Upping the Ante? Daily deal juggernauts Groupon and LivingSocial have received some harsh criticism in the past year from angry business owners who have had nearly fatal experiences running daily deals, as well as from critics who feel the services do not promote loyalty among customers. The daily deal scene blew up a couple years ago, with hundreds of Groupon imitators flooding the market. However, 1/3 of all daily deal sites shut down operations in 2011, finding that they simply don’t stand a chance amongst the sea of established competitors. In response to the scoffs and sneers they have received, Groupon and LivingSocial have rolled out new programs to help establish loyalty and ensure customer retention. Last October, Groupon launched Groupon Rewards to offer incentives for businesses’ most loyal subscribers. Now, the company is offering Groupon VIP to consumers in select markets—a paid loyalty program that gives shoppers a sneak peek at exclusive deals and the ability to request a refund for unused vouchers for $30 a month. Similarly, Groupon’s rival LivingSocial also introduced Plus last November, where users pay $20 a month to receive access to closed deals. LivingSocial disclosed that it had a $558 million net loss in 2011, which could be a reason why it’s testing out the waters with a paid loyalty service. The good news for these daily deal operators is that the numbers are looking up. According to a report from ForeSee, 44 percent of consumers who use daily deals return to the merchants that provide the offers and 47 percent plan to do so in the future. The report suggests that daily deals may be on their way to becoming a service that brings in new business and inspires repeat business. If Groupon and LivingSocial save its best deals for its most loyal and paying customers, will that diminish the value of the “regular” deals? Is that a viable business strategy? [Article first published as Are Daily Deals Upping the Ante? on Technorati]. A British bakery owner loses at least $19,500 after creating a Groupon offer and being swamped with thousands of orders. LONDON — A bakery owner was forced to make 102,000 cupcakes after being swamped by customers taking up her cut-price Groupon offer, according to reports Tuesday. Rachel Brown offered a 75 percent discount on 12 cupcakes, which normally cost $40 (£26), the BBC reported. However, Brown under-estimated the popularity of the deal and was unable to cope when 8,500 people signed up for the $10 (£6.50) bargain. Brown’s Need a Cake bakery, which employs eight staff in Reading, U.K., had to bring in temporary workers through an employment agency to fulfil the orders, at a cost of $19,500 (£12,500) — wiping out her profits for the year. She also lost between $2.90 (£2.50) and $4.70 (£3) on each batch she sold, the BBC reported. Chicago-based Groupon sells Internet coupons for everything from spa treatments to cosmetic surgery. Firms sign up in the hope of getting new repeat customers out of the initial deal or selling additional goods to shoppers during their first visit. 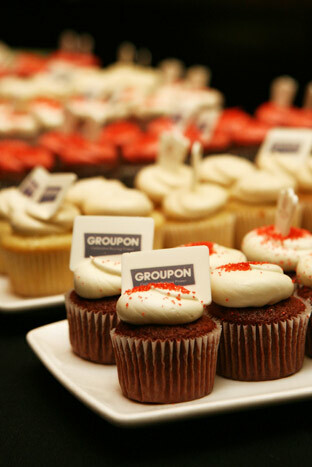 Groupon went public earlier this month at $20 a share, valuing the business at $13 billion. Brown, who has run the business for 25 years, was quoted in the Daily Telegraph saying: “We take pride in making cakes of exceptional quality but I had to bring in agency staff on top of my usual staff, who had nowhere near the same skills. I was very worried about standards dropping and hated the thought of letting anybody down. Heather Dickinson, international communications director for Groupon, told the BBC there was no limit to the number of vouchers that could be sold. “We approach each business with a tailored, individual approach based on the prior history of similar deals,” she said, adding the company had been in “constant contact” with Need a Cake. The flaw in Groupon’s business model is a big one–loyalty. The daily deals juggernaut has made a few changes to amend its issues, but who knows whether those changes will suffice. I needed sunglasses, the prescription kind. I hadn’t owned a pair in years, but this past summer I finally became fed up with squinting and wincing while daytime driving. Lo and behold, a few days after I decided to invest in some new shades, a Groupon for a local optical shop appeared. Pay $75 now for $175 off frames and lenses later. Serendipity. That was in July, and a couple of weeks ago, I finally found some free time to head downtown and cash in my coupon. I found some nice frames, haggled a little on the price ($312 was hard to justify for sunglasses when I spend half my time in front of a computer screen), then I pulled out my Groupon. “Ugh,” groaned the sales clerk, eying the piece of paper in my hand. “You have one of those.” And a little twinge of guilt set in. That’s long been a popular refrain from small businesses who have tried Groupon. On the one hand, it’s a virtually guaranteed way to reach large numbers of new customers. On the other, unless you can turn those customers into repeat business or up-sell them, the deep 40-60% discounts Groupon demands can be damaging. Plus, if you can’t keep up with demand or the influx of new customers annoys regulars, your business could suffer a hit on reputation. Yet, Groupon reports in its IPO prospectus that it featured on its site over 45,000 merchants in North America in the first two quarters of 2011 compared to just over 27,000 in 2010 — small businesses keep signing up. Why, in spite of well-publicized horror stories, would businesses jump into such a risky marketing strategy? For some businesses, Groupon makes sense. For large corporations, like Gap, which ran an extremely popular promotion on the site last year, Groupon provides a great way to reach millions of potential customers. A business that large can eat the cost out of their already sizable advertising budget. For businesses that provide oft-repeated or critical services, such as auto mechanics or hair salons, a Groupon might be able to convert more repeat business, and thus be beneficial (note: that’s idle, but logical, speculation on my part). But why did a boutique optical shop run a promotion? I suspect they thought they had to, and I suspect many other small businesses feel the same. A down economy and low consumer spending numbers that refuse to rise out of the doldrums have forced business owners to do whatever they can to get people in the front door. Groupon’s millions of potential customers are just too attractive to pass up, even at a high-risk. In other words, small business owners feel compelled to gamble because the economy has forced their hands. When the economy turns back around — whether that’s in a few months or a few years — business owners won’t need sites like Groupon, and certainly not on Groupon’s terms. A June study from Rice University that looked at deals across five major daily deal sites found that 48.1% of businesses would run another deal — a number that closely mirrors Groupon’s own internal data, as well as that of another recent study. Almost one in five say they would not run another deal and just about a third are on the fence. Half isn’t a terrible merchant retention number. According to the study’s author, Professor Utpal Dholakia, however, it is indicative of flaws in the daily deal model. In an online presentation about the upcoming IPO, Groupon CEO Andrew Mason runs through what he says is a typical deal on the service. His example is Seviche Restaurant in Louisville, KY, a seafood restaurant that is, according to Mason, already very successful. 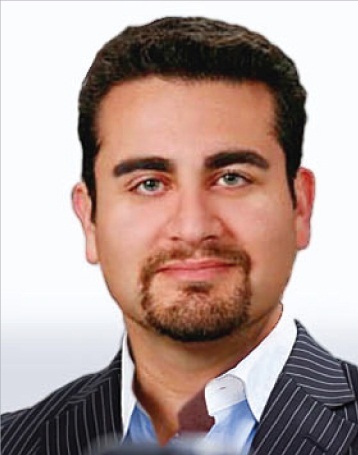 Seviche wasn’t happy with traditional advertising, and ran a Groupon as a way to attract new customers. The details of the deal are as follows: $25 for $60 worth of food. Groupon keeps $12.50 of that price. Mason says that Seviche’s average bill is $100 and its cost of goods is 33%, which means that each Groupon customer should be worth, on average, $19.50 to the restaurant. His point was the prove that, when properly structured, Groupons are indeed profitable for the businesses that run them. But let’s take that math a bit further. We’re getting into the land of hypotheticals here, but bear with me. Let’s say that the Groupon brings in 100 new customers. 100 x $19.50 = $1,950 in profit. Let’s also say that a traditional ad would perform only 40% as effectively at bringing in new customers, so it brings in just 40. Those 40 customers are paying full price, so they’re worth $67 in profit. 40 x $67 = $2,680 in profit. How many of each become repeat diners? The Rice University study found that only about 1 in 5 daily deal users become repeat customers. If 20 customers from the original 100 that bought the Seviche Groupon come back, say, twice in the next year and spend the full $100, that’s worth another $2,680 in profit. I’d argue that the traditional ad customers probably convert to repeat visitors at a higher rate simply because they spent $100 on a dinner from the get-go (that is, they were all definitely customers willing to fork over full price), unlike the Groupon-wielding customers, who are getting a big discount . But for simplicity, let’s use the same metric as the daily deals for repeat customers. That’s another $1,072 over a year. Of course, I can make the numbers say whatever I want — it’s all hypothetical (changing the numbers this way can make Groupon look great or look terrible) and I’ve made plenty of assumptions about customer value. The point is this: Other forms of advertising don’t have to be that much more effective (and can still be less effective from a pure purchaser standpoint) to create similar revenue and offer similar customer acquisition costs. When consumer spending is low, it makes sense that fewer people are spending on things like expensive dinners out. A discount Groupon is an attractive incentive to get them out to the restaurant, and it is more effective at driving new business, even for successful restaurants like Seviche. But that likely won’t always be the case. If and when the economy rebounds, businesses might have an easier time getting customers in the door to spend at full price. They may no longer require the high-cost marketing that Groupon offers. Groupon’s growth relies heavily on marketing. When the company cuts its marketing expenditures, revenue growth slows dramatically. That’s in a poor economy that is friendly to Groupon. What happens to that growth when businesses with desirable products and services can afford to refuse offering such attractive discounts? What if merchants refuse to play at all? Just 29.5 million of its nearly 143 million subscribers have ever purchased a Groupon (again, according to the company’s IPO prospectus). What will that conversion ratio look like if deals cease being as attractive to buyers as they are now? As the company nears its IPO, investor confidence appears to be waning. In a piece in VentureBeat Monday, analyst Rocky Agrawal, who thinks Groupon is bound to fail unless it significantly reinvents itself, painted a bleak picture of who loses if the company goes under. Spoiler alert: it’s not just Groupon’s executive team and investors who would feel the pain. So is Groupon destined for collapse? I’m not ready to say that just yet. Any economic turnaround in the U.S. won’t happen overnight — and could take years — and Groupon has aggressively expanded into international markets over the past year, whose economic climates I can’t and won’t comment on. They’ve also launched some new programs in an attempt to diversify their offerings, such as Groupon Now, which allows businesses to target deals to specific times and sell excess inventory during slow periods (though some reports indicate that Now is not gaining Groupon-like traction), as well as a travel deals service. However, I do believe that Groupon will be forced to significantly alter its existing business model to survive long-term. More than decreasing customer acquisition costs, Groupon needs to find new ways to add value for merchants to keep them offering deals. I predict that once the economy rebounds, small businesses will need to risk less to get potential buyers in the door and will be more interested in ways to retain and reward customers. This is something that Groupon only just recently began to address with Groupon Rewards, a clever program that allows merchants to reward customers for repeat business with exclusive deals. Groupon isn’t alone in this space — they’ll face stiff competition from companies like Swipely and Google’s yet-to-launch Punchd, which incentivize full-price purchasing through discount rewards, and Foursquare, which drives repeat foot traffic at a low cost. This is the future. Customers will always buy deep discount deals, but fewer merchants will need them. What they’ll need are ways to turn existing business into repeat business. 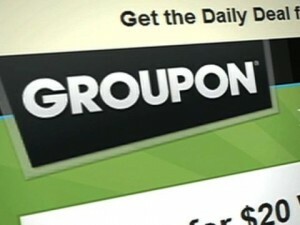 Daily deals juggernaut Groupon expanded its product lineup Wednesday to include Groupon Rewards. Groupon Rewards is a loyalty platform for the company’s merchants — and a set of incentives for its most active subscribers. The product integrates with merchants’ Point of Sale systems to let them offer customers special deals whenever they spend above certain thresholds. The product has been piloted in test markets, including the Chicago area, and is now being released to Groupon merchants free of charge. Merchants can sign up to configure reward coupons and use the product to view new and repeat customers, as well as see how much customers are spending and how often they visit. Groupon Rewards is being marketed as an alternative to the punch card and is designed to help merchants drive repeat business — instead of just attracting one-time deal-hungry patrons. It may help the pre-IPO company quiet naysayers who question its ability to drive quality customers to participating merchants. Groupon joins other startups such as Foursquare, SCVNGR and Swipely, all of whom have experimented with loyalty initiatives that link a customer’s credit card info to automatic rewards for spending at merchant venues.